Phyllis A. Tschiggfrie, 83, of Dubuque, Iowa passed away on Friday, November 2nd, 2018 at Mercy Hospital surrounded by her family. The Funeral mass will be at 10:30 a.m. Tuesday, November 6th, 2018 at the Church of the Resurrection with Rev. Phillip Gibbs officiating. Committal prayers will follow at the church following the mass and burial will take place in Mount Calvary Cemetery. Visitation will be from 3:00 p.m. to 7:00 p.m. on Monday, November 5th, 2018. A vigil service will be held at 6:45 p.m. at the Leonard Funeral Home & Crematory, 2595 Rockdale Rd. Dubuque, Iowa whom is assisting the family. Phyllis was born on March 24, 1935, in Dubuque, Iowa the daughter of John and Leona Fluhr. She married Raymond Tschiggfrie on March 15, 1950 in Earlville, Iowa. She worked at the Old Dubuque Packing Company, Dubuque sewing & Vacuum and most recently Steve’s Ace Hardware. Phyllis was a very kind hearted women to all. She loved spending time with her sewing friends. Her love for sewing led her to making thousands of blankets and quilts that she donated to the needy children and poor. She also loved spending time on her acreage with Ray taking care of their horses and feeding the wild animals. But most of all she loved spending time with her family. 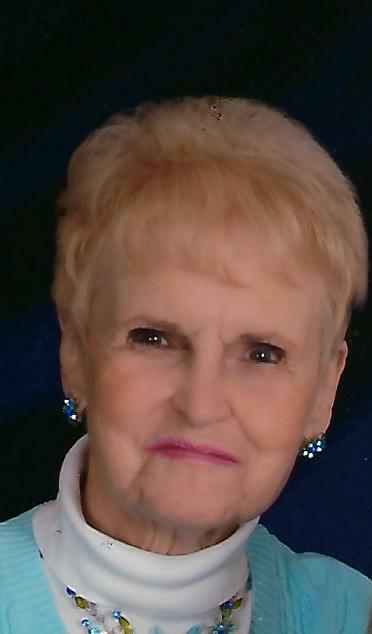 Phyllis was a lifelong member of Lacoma Golf Club and the sewing pfaff club. She is survived by her three children, John (Diane) Tschiggfrie, Steve (Kathy) Tschiggfrie, and Dawn (Curt) Mathe. Five grandchildren, Brian Tschiggfrie, Amy (Justin) Mills, Jason Tschiggfrie, Scott Tschiggfrie, and Amanda Mathe, seven great grandchildren; her sister Judy Lange and a brother Richard Fluhr. She was preceded in death by her husband Raymond; her parents; her daughter Brenda; her brothers, Jack and Gene and her sister Grace. The family wishes to extend a heartfelt thank you to Dr. Ramabadran and Dr. Jennifer Mohr. Also, the Asbury first responders and Mercy ER staff.